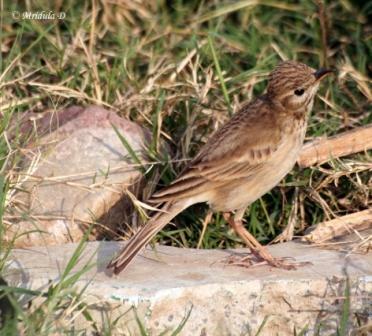 This bird has two names, Brown Rock Pipit and Long Billed Pipit. At a quick glance looks like a more scary sparrow. It has been after a long time that I have managed to spot something new in the neighborhood. OK, not that long time actually, I think it has just been a month since I spotted the Indian Grey Hornbill. 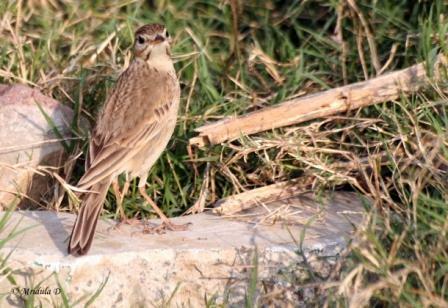 With a 70-300mm zoom to get this kind of pictures you really have to be close to the birds. 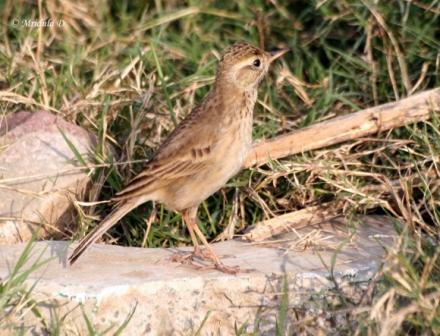 And thankfully this Brown Rock Pipit would let me come close. There are flaming red flowers on a tree these days and I saw Mynas on it yesterday. Let us see what type of pictures I get today.